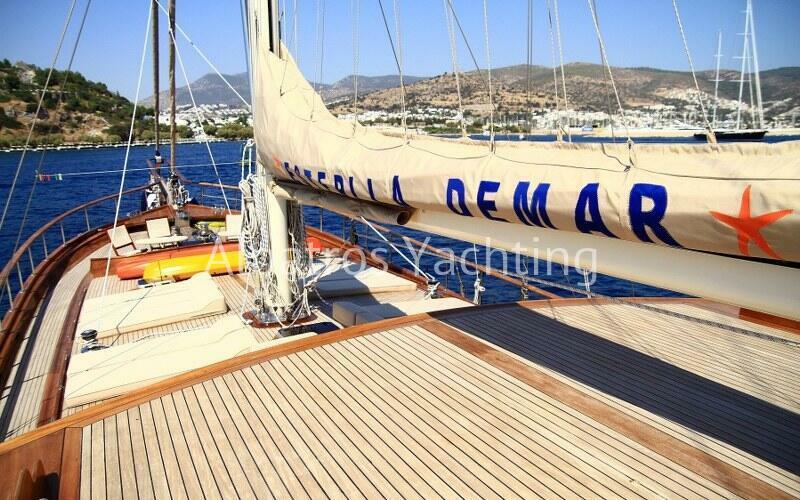 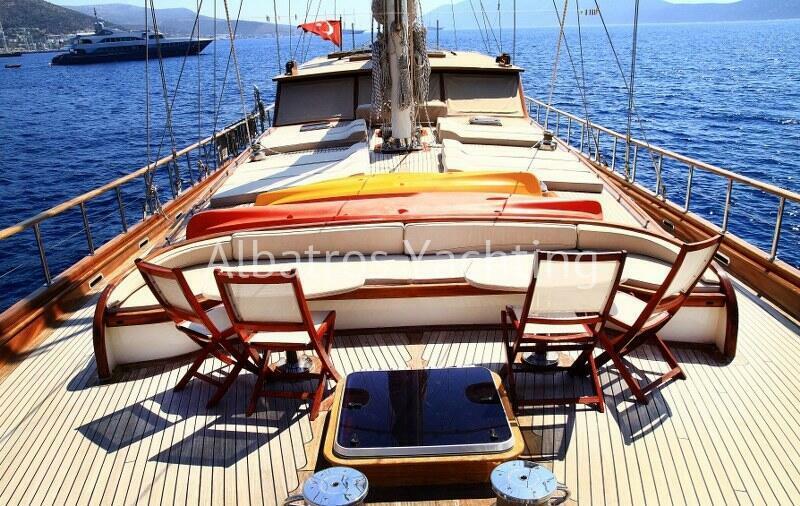 The elegant yacht Estralla De Mar is based in Bodrum. 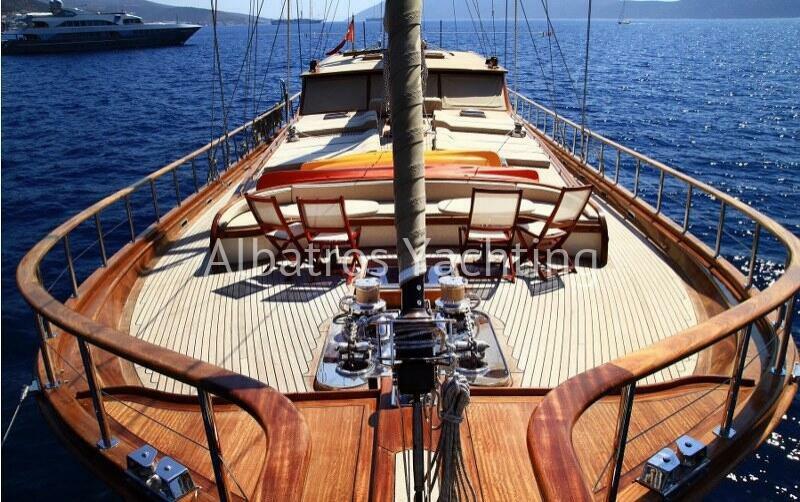 Charter this 5 cabins Deluxe yacht and start your blue cruise either from Bodrum or Marmaris or even in the Greek Islands. 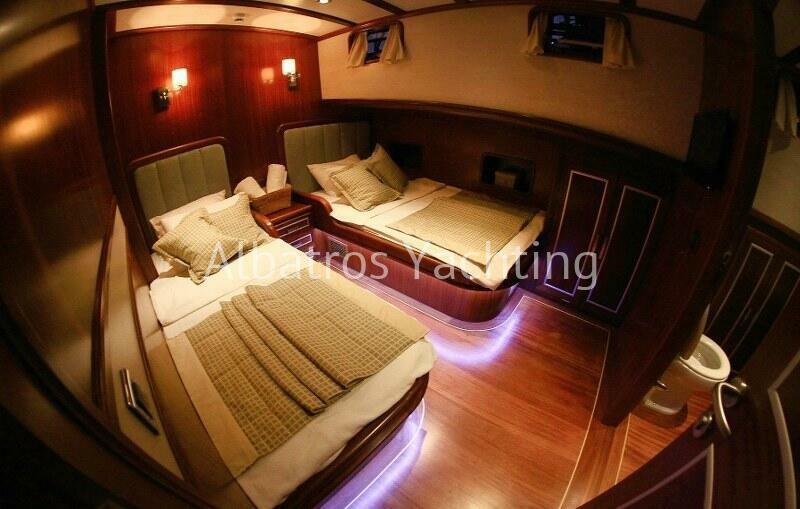 Each cabin is air-conditioned and with a shower facility. 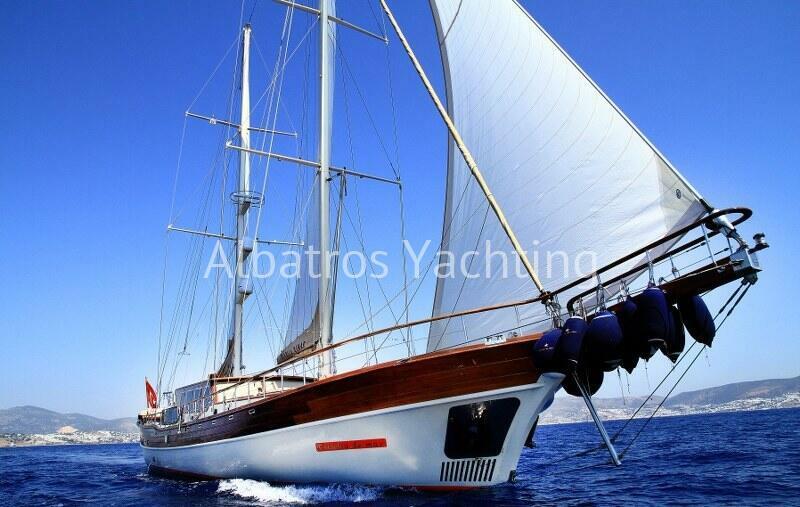 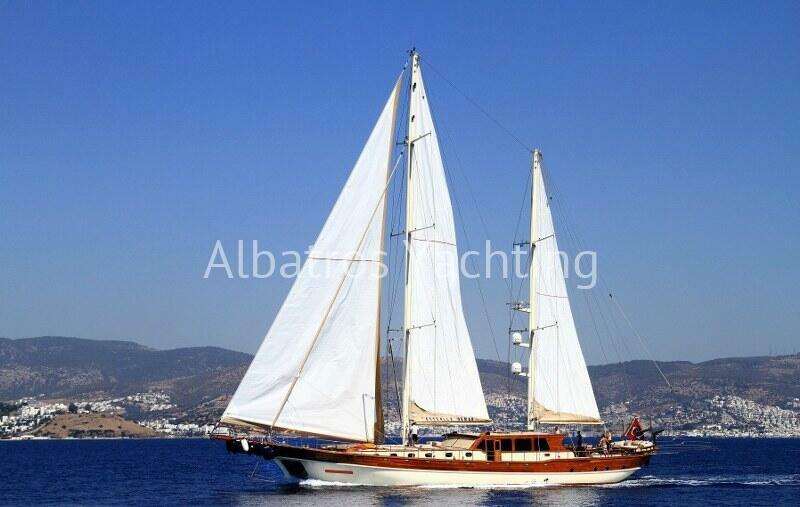 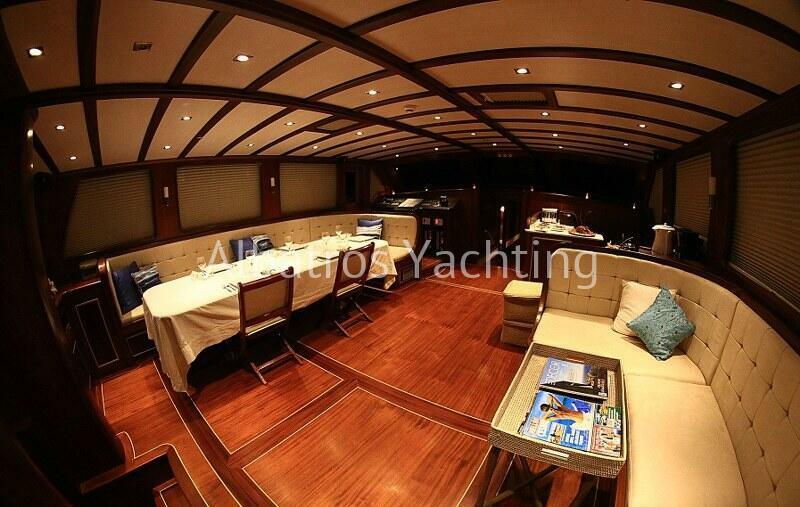 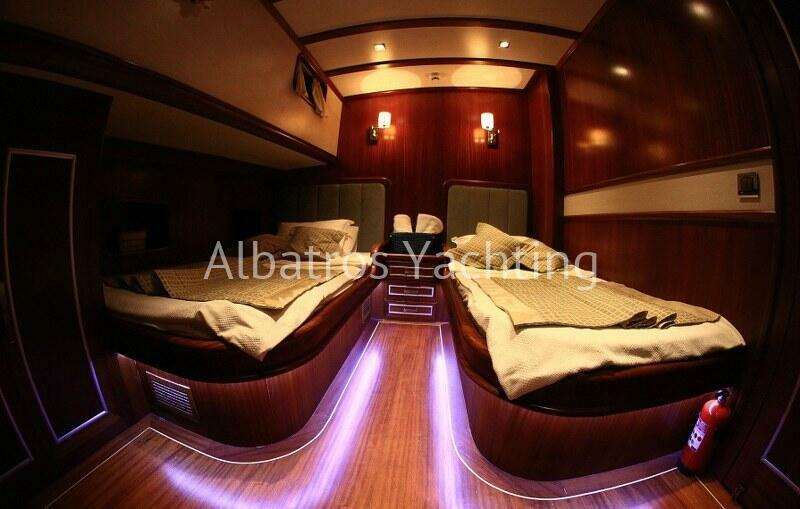 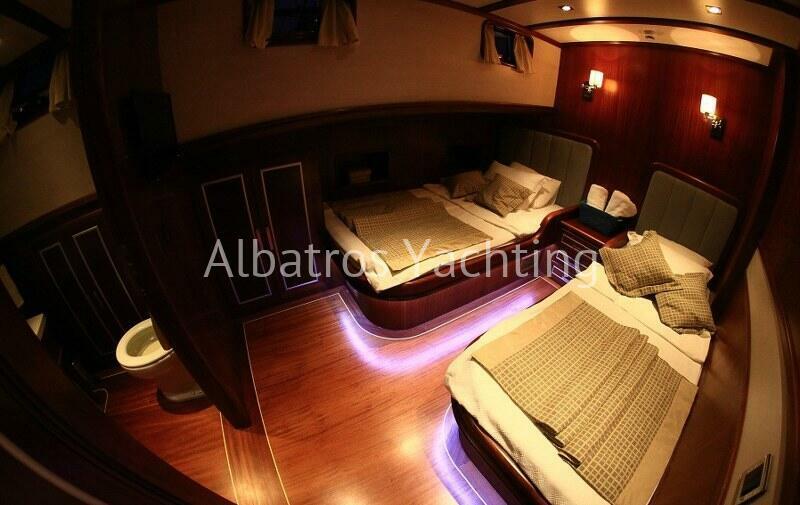 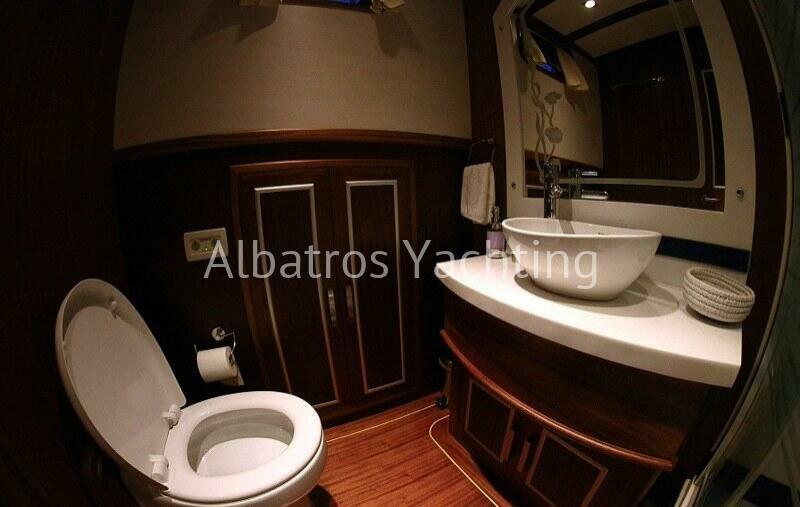 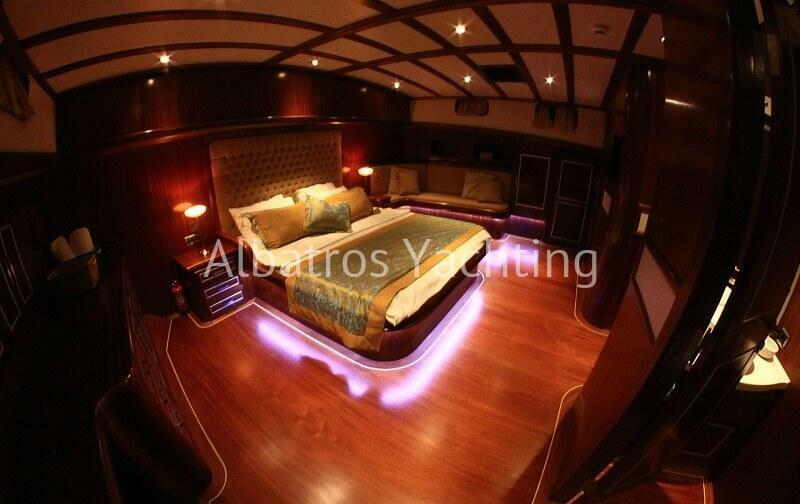 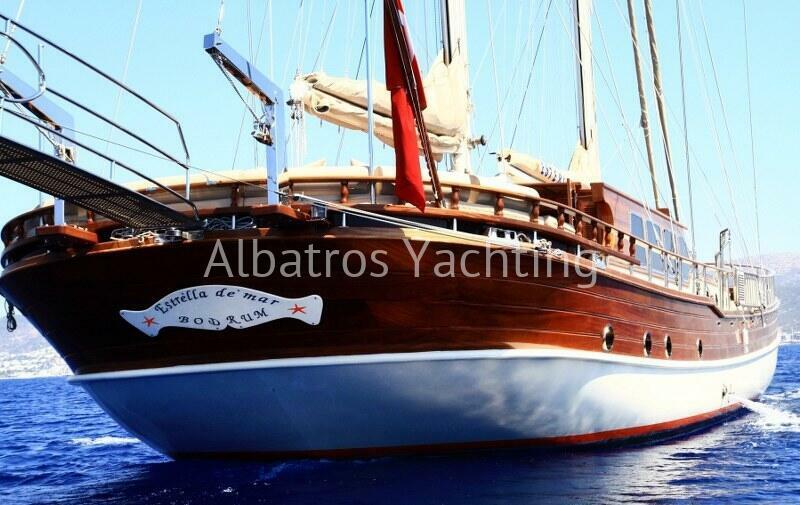 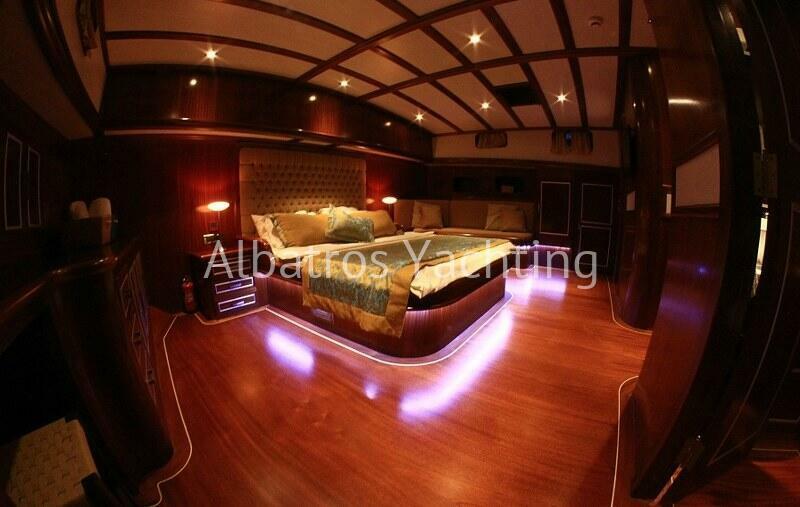 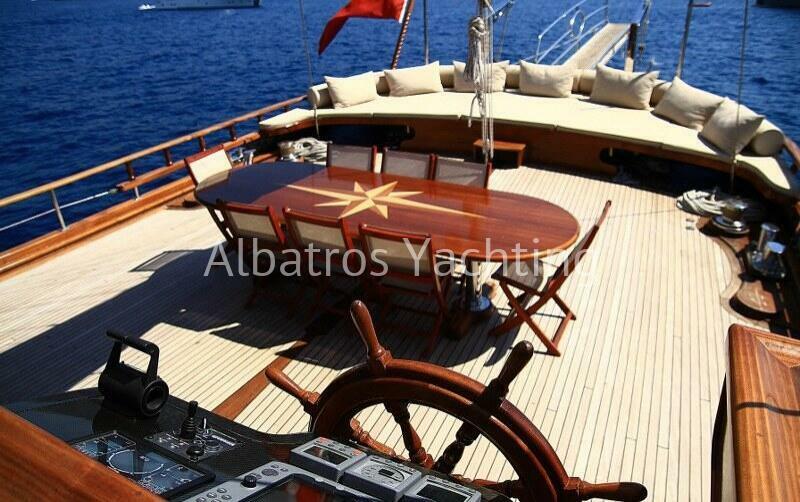 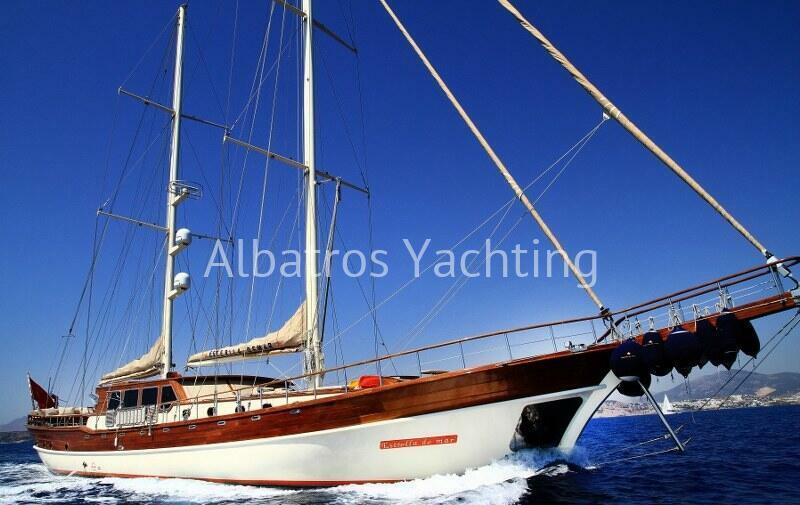 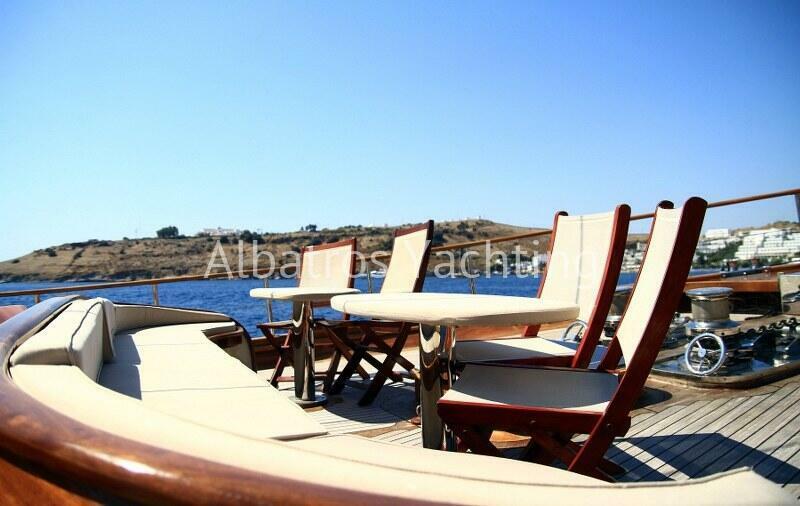 She is spacious, well equipped and perfect for a luxury holiday on the sea. 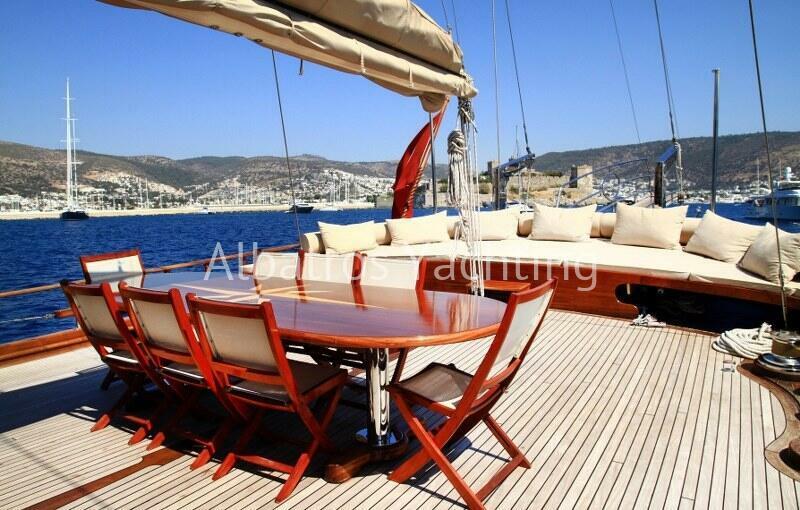 The tastefully designs Estela De Mar is based in Bodrum. 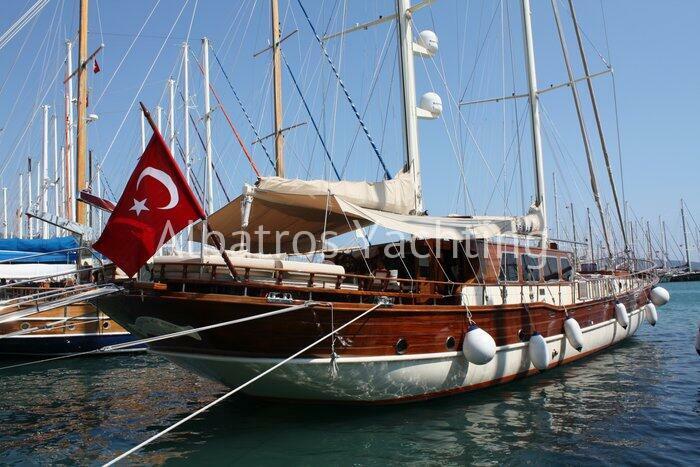 Charter this 5 cabins Deluxe yacht and start your blue cruise either from Bodrum or Marmaris or even in the Greek Islands.